Weighty Matters: Probiotics for weight management? Very interesting study just came out ahead of print in the American Journal of Clinical Nutrition. In it, researchers studied the impact of over-feeding on stool based calorie loss. Basic principle is that we're not perfectly efficient creatures when it comes to extracting calories from our food. Further, mouse experiments have suggested that their guts' microbial flora and fauna causally impacted their weights. To start exploring this in humans, here researchers studied whether or not changing dietary patterns led to changes in either gut microbiota, or energy lost in stool. The study was a small one. Twelve lean and 9 men with obesity participated. Volunteers were put on a weight maintaining diet for 3 days and then in a random crossover fashion, they consumed either 2400 or 3400 calories for the next 3 days. Ingested and excreted calories were measured by means of bomb calorimetry and gut flora was analyzed microscopically. 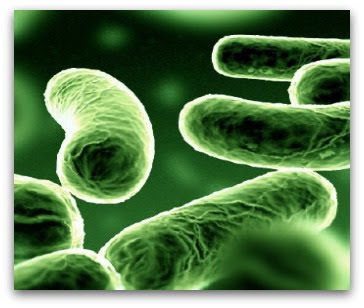 There was no difference initially between the gut microbiota in lean and obese individuals. Changing the nutrient load rapidly changed the bacterial composition of the human gut. In lean individuals these same changes led to a lesser loss of calories in stool - the more food they were fed, the greater their efficiency at retaining the calories. Hard to say, these are definitely the early days. No initial difference in gut flora between people who are lean and people who are obese, to me suggests that gut microbiota might not be a big, natural player. Rapidly changing bacterial composition fascinated me because who would have thought you could see dramatic changes so quickly. That those changes actually improved efficiency of calorie absorption in lean individuals is potentially important because it's the opposite of what one might have thought (that one of the protective mechanisms by which perpetually lean folks stay lean might have been less efficient stool absorption), but more importantly, because regardless of the impact being in the wrong direction, it certainly suggests that modifying gut microbiota can in fact dramatically modify the gut's ability to absorb calories - and that in turn might lead one day to yogurts that can actually validly claim that their contents help with weight management.